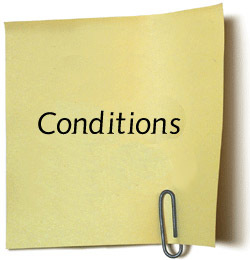 The following conditions apply to all attendees (in addition to any further conditions applying to Exhibitors and without derogating therefrom). All persons are required to register. The Organiser will record all attendees’ details in order to produce a badge, generate statistics and provide mail information to the Organiser for future marketing purposes. Visitors or companies not directly involved in the Exhibition, agree they will not promote their products or services to exhibitors or other attendees while attending the Exhibition. Anyone found in breach of this rule may be asked to leave the Exhibition immediately and may be refused entry to future Exhibitions or events conducted by the Organiser. Inappropriate behaviour, sexual harassment or bullying will not be tolerated and offending individuals will be asked to leave the Exhibition. All persons entering the Exhibition are expected to act in a safe manner and abide by relevant health and safety legislation. It is expected that all attendees will report any potentially unsafe conditions immediately to the Organiser. By entering the Exhibition visitors may be filmed or photographed by the Organiser. These films or photographs may be used in future marketing promotions by the Organiser. No attendee is permitted to photograph or film any presentation or material provided at the Exhibition. Water Industry Operators Association of Australia Ltd.
“Conference” means the event including the Exhibition. “Exhibition Equipment Supplier/s” means the companies hired by the Organiser to construct the Exhibition Sites and supply furniture and equipment for the conference. “Exhibitor” means the company or person that has submitted an application form and has been allocated an exhibition space. “Exhibitor lnformation Pack” means the manual which describes the Organisers rules and requirements, services and equipment relevant to all exhibitors of Exhibitors. This document is provided to the primary contact person as nominated by the Exhibitors when booking a Exhibition Site. “Exhibition Site” means either a booth or space within the exhibition venue an Exhibitor has booked or is allocated. “Organiser” means the Water Industry Operators Association of Australia (WIOA). ABN 83 123 468 422. “Venue” means the facility, and the management of the facility, in which the conference is to be held. The Organiser is responsible for the overall running of the Conference, the allocation of Exhibition Sites and invoicing of exhibitors for the bare Exhibition Sites and all meals. The Exhibition Equipment Supplier is responsible for supply and construction of all Exhibition Sites including fascia signage, supply and installation of all power & lighting, supply delivery and invoicing of Exhibition Sites furnishings & associated equipment. The Exhibitor is obliged to act in accordance with the rules and requirements as set out in the Exhibitor Information Pack and by the Venue. 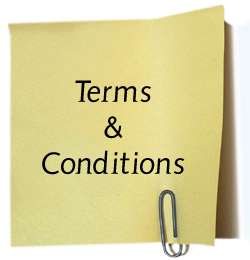 The Exhibitor is responsible to read and agree to the Terms and Conditions and Cancellation policy, make payment in full by the due date and adhere to deadlines. Exhibition Sites will be allocated in the order in which the Organiser receives the completed application form either off our facsimile machine or via email after the commencement of registration on the advertised registration day. If the Exhibition Sites requested have already been allocated, each company will be contacted in turn to make a selection from the Exhibition Sites still available. The Organiser will confirm the Exhibition Sites allocated to each Exhibitor in writing. The Organiser reserves the right to assign or reassign Exhibition Sites and to alter the size, shape or position of the Exhibition Sitesand the floor plan of the Exhibition as may be necessary to ensure that the arrangement of the Exhibition is in the best interest of attendees and Exhibitors. Exhibitor shall remain set up until 4.00pm on the Thursday of the Exhibition. No Exhibitor shall sublet or share the whole or any part of the space Exhibition Sites allotted without the knowledge and consent of the organiser. The Organiser will issue an invoice for the reserved Exhibition Site/s to the Exhibitor. Payment of the invoiced amount must be paid for in full prior to the event. The Organiser reserves the right to re-allocate the Exhibition Sites if payment is not received by the due date. Exhibitors may cancel their Exhibition Sites at any time prior to the exhibition. Cancellations must be made in writing. Cancellations made more than 60 days prior to the exhibition will receive a full refund less an administration fee of 10% of the cost of the Exhibition Sites. Cancellations made between 30 & 60 days prior to the exhibition will receive a full refund less an administration fee of 20% of the cost of the Exhibition Sites. Cancellations made within 30 days of the exhibition being held will receive no refund. All Exhibitors are required to have Public Liability Insurance to a value of not less than Ten Million Australian Dollars (AUD$10,000,000), and a certificate of currency confirming this insurance must be lodged with WIOA prior to the Commencement Date of the Exhibition. It is recommended that exhibitors consider taking out Property Damage Insurance in respect to the Exhibition Sites and any products or items either in transit or at the event. Exhibitors will be refused entry to the Exhibition Sites until all insurance requirements are satisfied. The Exhibitor hereby indemnifies and releases the Organiser, the Exhibition Equipment Supplier and the Venue; in respect to any claims, actions, suits, demands, costs and expenses for damage or injury to person or property arising directly or indirectly out of attending and displaying goods at the Exhibition, including the movement of property on site and in transit to and from the exhibition. Photos and video taken on behalf of the Organiser at the conference are approved for release for future marketing of WIOA events. The Organiser has arranged security during the course of the event and also relies on the security provided by the Venue, but beyond this, the Organiser, the Exhibition Equipment Supplier and the Venue Managers, and their employees are not responsible for any damage to or for the loss or destruction of an exhibit from fire or theft or accidents or injury resulting from such causes. All Exhibitors are required to abide by relevant health and safety legislation. The Organisers require a representative from the Exhibitor to be named as a responsible person for the health and safety of the Exhibition Sites. All Exhibitors are required to participate in a site induction conducted by the Organiser. All portable electrical equipment, appliances and leads must be tested & tagged by a fully qualified electrician in accordance with OH&S Regulations and Australian Standard 3760,2001. Equipment manufactured for overseas ratings such as 210V & 60Hz, not meeting the above criteria are strictly not permitted. In the event that the Exhibition is cancelled or delayed outside the control of the Organiser, including but not limited to fire, flood, labour disputes, natural disasters, acts of God, work stoppages, slow downs or disputes, or other similar events then the Exhibitor may be issued a refund after all fixed expenses are paid, any remaining funds will be distributed to Exhibitors. The Exhibitor shall not claim for any loss or damage. WIOA reserves the right to refuse to accept a registration form or refuse entry to any exhibitor, delegate or visitor to any WIOA event at any time and for any reason.